LOS ANGELES – January 23rd, 2017 – Luxury hotel operator Fairmont Hotels & Resorts, now part of the AccorHotels Group, and Next Century Associates today announced the signing of definitive agreements for the revitalization and management of the historic Century Plaza Hotel, located in the heart of Century City in Los Angeles. The iconic, crescent shaped hotel has hosted generations of Hollywood celebrities, foreign dignitaries and every United States President since its opening in 1966. The hotel is currently closed for a meticulous restoration and refurbishment and is slated to re-open as Fairmont Century Plaza, Los Angeles in 2018. 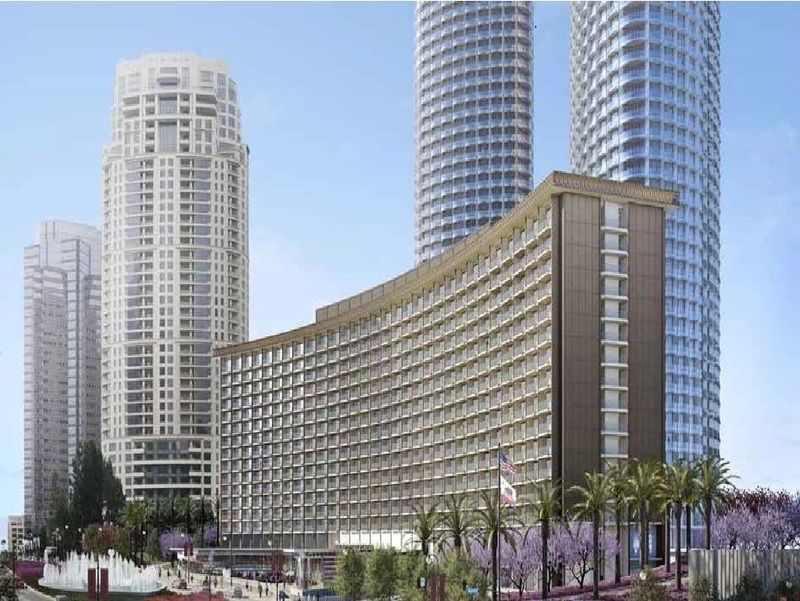 Originally designed by Minoru Yamasaki, Fairmont Century Plaza will be transformed by world-renowned lead architecture firms Pei Cobb Freed, Gensler and Marmol Radzinger and the internationally acclaimed design group Yabu Pushelberg. The team will restore the hotel’s renowned lobby, connecting it to a series of public plazas and fountains that lead into a central two-acre garden, surrounded by restaurants and retail boutiques. “We are excited to make history in Los Angeles with the rebirth of the Fairmont Century Plaza,” said Michael Rosenfeld, CEO of Woodridge Capital Partners. “Woodridge and Fairmont have built a strong relationship over the years, with properties that have performed to their utmost in their respective markets. We look forward to creating a new jewel for the residents and visitors of Los Angeles to cherish and enjoy." Fairmont Century Plaza will add to Fairmont’s broad presence in California, joining an unrivalled collection of spectacular hotels and resorts that include the brand’s flagship hotel – the one that started it all – the iconic Fairmont Miramar San Francisco; Fairmont Sonoma Mission Inn & Spa; Fairmont San Jose in Silicon Valley; Claremont Club & Spa, a Fairmont Hotel in Berkeley; Fairmont Heritage Place Ghirardelli Square, San Francisco; Fairmont Miramar Hotel & Bungalows in Santa Monica; and Fairmont Grand De Mar in San Diego.